Electricity • The team installed more kilowatts than Salt Lake County. Workers install solar panels on Roger Crawford's Park City home in 2013. Photo courtesy Roger Crawford. 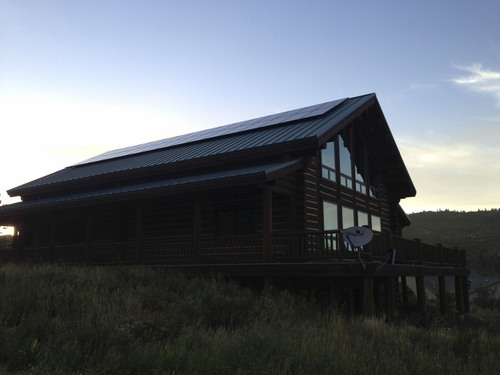 New solar panels sit on Roger Crawford's Park City home in 2013. Photo courtesy Roger Crawford. Workers install solar panels on Roger Crawford's Park City home in 2013. Photo courtesy Roger Crawford. 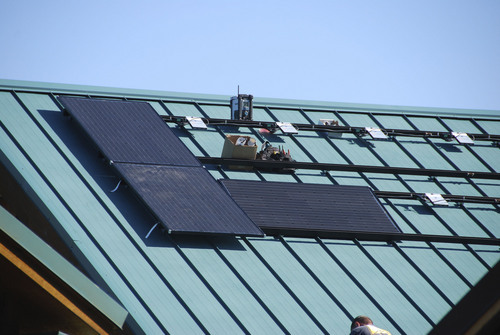 Workers install solar panels on Roger Crawford's Park City home in 2013. Photo courtesy Roger Crawford. 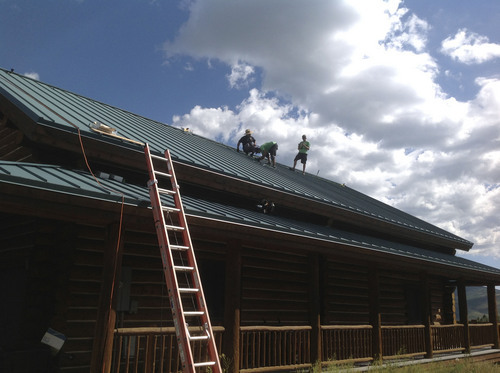 Park City •Going into 2013, Summit Community Solar set the goal of beating Salt Lake County&apos;s 232 kilowatts of solar installed. 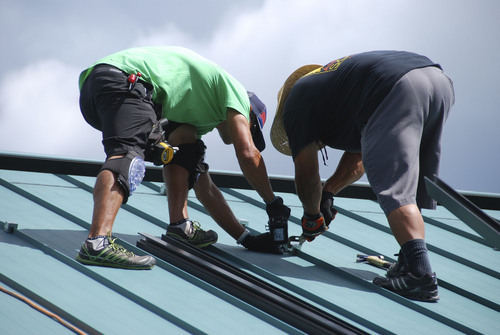 This year, SCS installed 327 kilowatts of solar, leading to big price cut for all participants involved. Kate Bowman, Solar Project coordinator with Utah Clean Energy, said the 327 kilowatts represents 59 homeowners who committed to installations this year. At the end of 2012, only 225 kilowatts had been installed. Bowman said the decreased price and the simplified process were two factors that led to SCS&apos; success. "The Steering Committee did a lot of work ahead of time and a lot of work at farmers markets to make sure people could easily get information about solar energy and how the program works," Bowman said. For the rest of this story, click here and go to The Tribune&apos;s sister newspaper The Park Record.